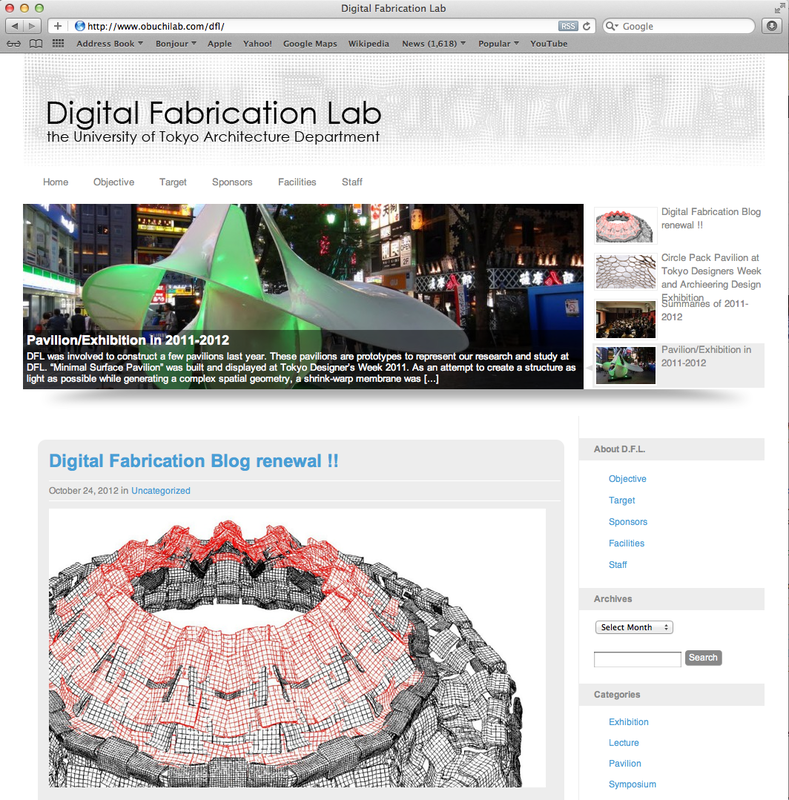 Our Digital Fabrication Lab's blog got a new look. Focusing on urban issues such as `Soil Contamination` and `Brownfield Areas`, we are developing a temporal infrastructure which functions as ‘Urban Soil Detoxifier’. The aim is to utilize urban wastelands as abundant material resources and sustaine life-like properties of soil by incorporating biological degradation process into architecture and urban design. Our prototype found its place on the former Tokyo Gas Factory site which is intended for the relocation of the Tsukiji maket, but has not been occupied due to its high level of soil contamination. 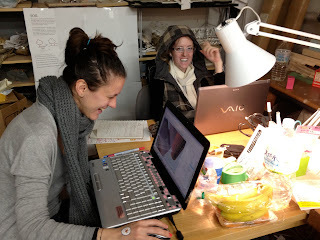 Continuing from last semester, 2nd year students are working on their Cybernetic Urbanism projects. 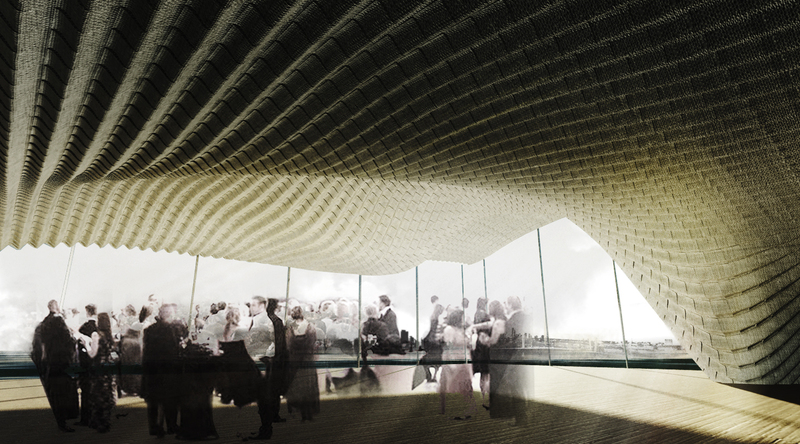 The main objective of this studio project is to develop an artificial life-like urban ecology integrating natural and human environments by networking biological and industrial production processes. We aim to maximize the performance of the material. Since paper can absorb, contain, and transport it is utilized as a substrate for water which evaporates and cool the local environment. 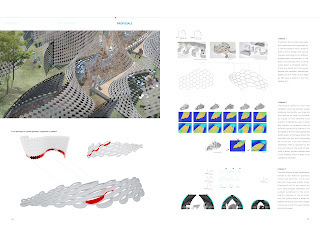 The final proposal is a series of structures at Chou-dori in Ginza, a typical place in Tokyo where extreme urbaniztion has resulted in an unpleasantly hot and dry street climate. Autopoiesis is a word which could concisely describing the self generated form. 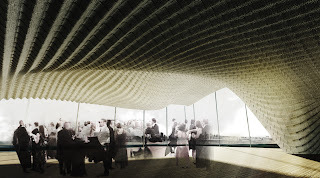 it divided into three parts: raw material, organized structure, and realizing the function which follows the shape. In the raw material analysis, we have 3 levels of components design graded by size after connection. As an application test, one actual site of dairy farm is selected in Nerima area, Tokyo, which is not so far away from the central Tokyo. In terms of program, it is supposed to become an urban recycling infrastructure field treating with waste paper, feeding cows, producing milk and by products like cow dung bricks and fertilizer. 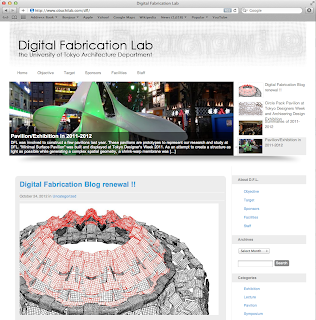 The basic design strategy is applying the wall prototype in the global geometry forced by site information and programmatic requirements. 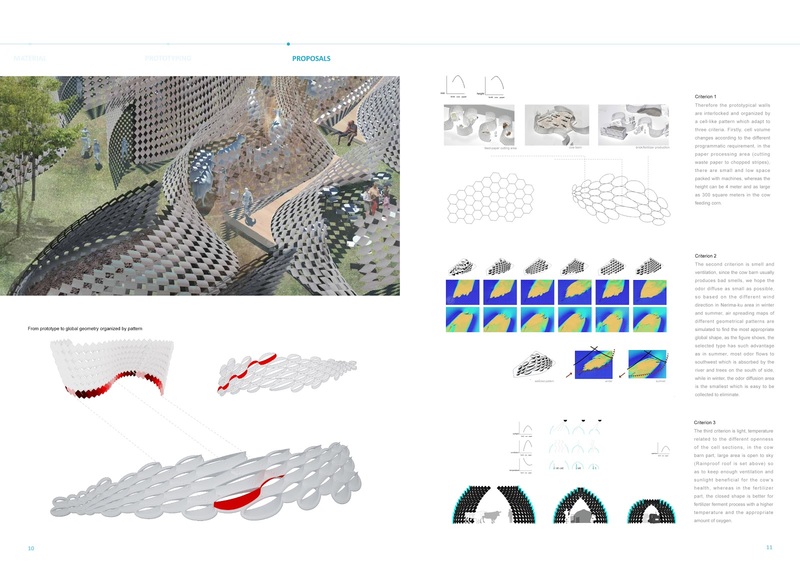 Like an evolutional development of living organisms, where a genotype is the blue print of all of its phenotypes, its ambition is to construct an ecology of design system, which seamlessly integrates both natural and human environments linked by adaptive feedback systems of networked infrastructure. Circle Pack Pavilion was reassembled at Architectural Institute of Japan(AIJ) for Archieering Design Exhibition 2012. 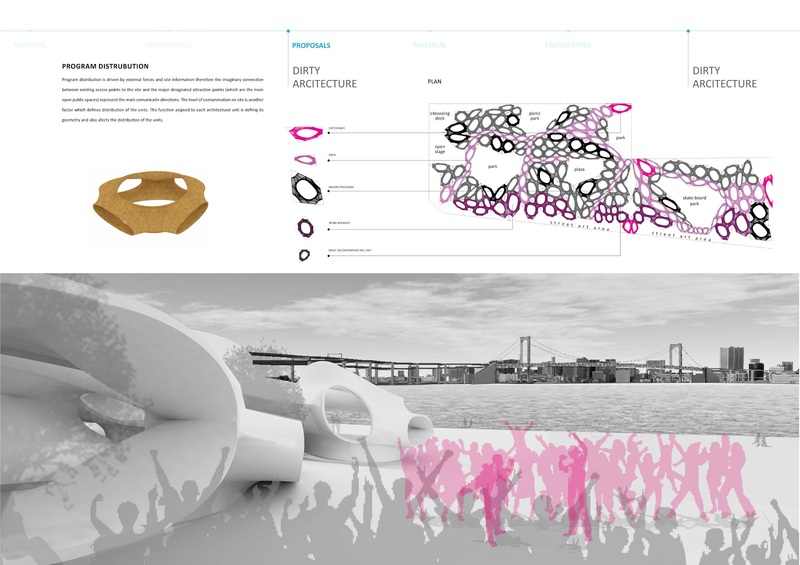 This event was organized to connect architecture and structural engineering design. 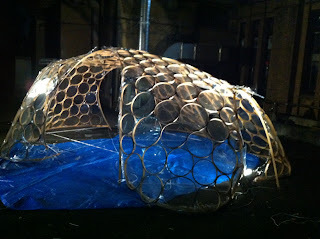 The pavilion will be exhibited until Nov. 25th. Our 2013-2014 application is now available. If you are interested in applying for G30, please visit the following site for information about our course. A foreign national who is not a permanent resident of Japan. Portfolio review and assessment of application documents. An online interview via Skype. Applicants will be asked to present their portfolio and to answer questions concerning their ambitions at the University of Tokyo. Please visit Global 30 website for further detailed information about the application. Today, we had midterm review with 1st year students. 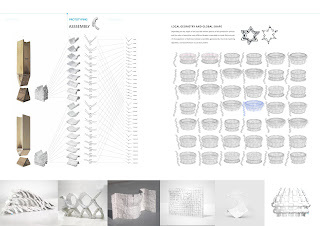 They have been working on the development of non-liner tensegrity canopy, and the review was focused on design systems, aiming for their work to be developed and built as full-scale pavilions next year. The students will continue developing their work with Rhino+Grasshopper and Processing. Later in the semester, Maya and a structural analysis plugin, developed by Daisuke Hirose who teaches our Maya class, will be used for structural analysis. Taichi, our PhD student, sent us updated images of Circle Pack Pavilion. 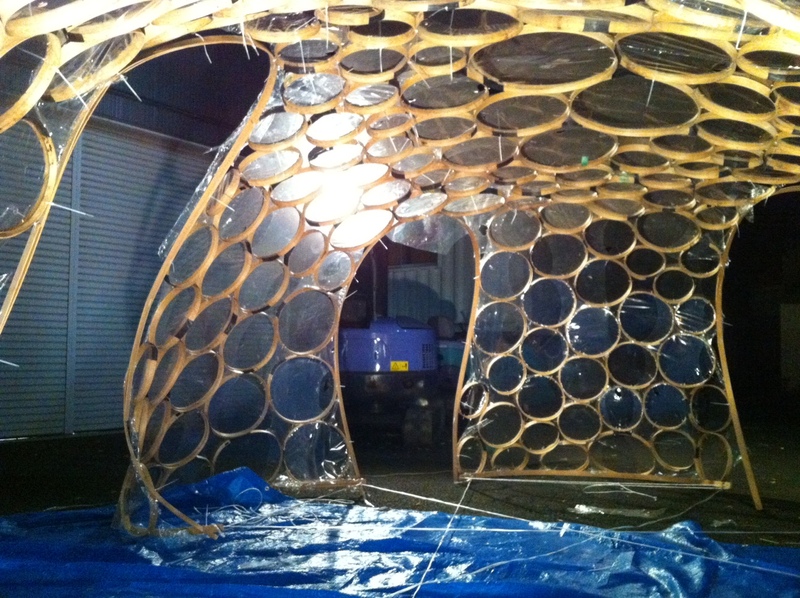 It was packed away from Tokyo Designers Week 2012 last week, and we are now preparing for another exhibition at Architectural Institute of Japan in Tokyo.